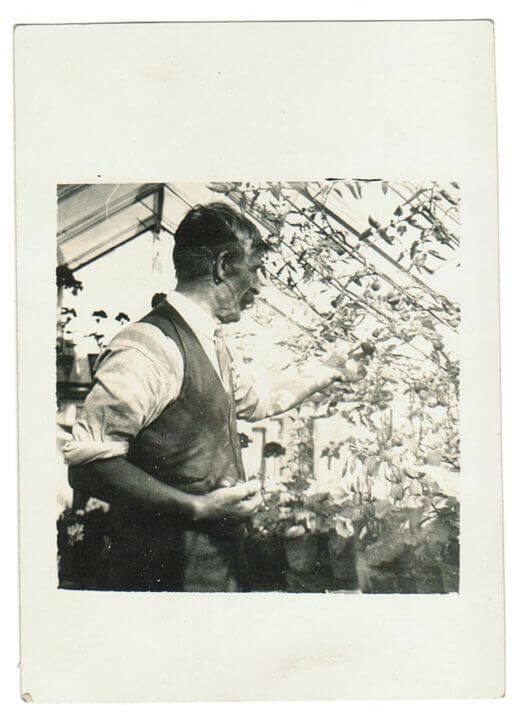 It was during the Second World War in the 1940’s that the founder of White Cottage Greenhouses spent his early childhood. His father was in away in France with the British army, but his grandfather was at home “Digging for Victory”. It was with his grandfather that the young John Tomlin passed many days, perhaps not being so helpful with the digging but certainly appreciative of the growing of fruit and vegetables, and the memorable taste of fresh food straight from the garden. 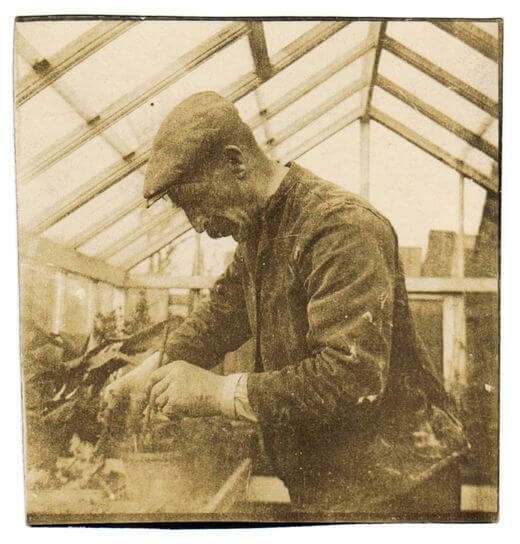 Central and vital to this was the greenhouse, a timber framed glasshouse typical of those which started to appear at the turn of the century outside the more luxurious walled gardens of the Victorian times. A dwarf brick wall provided a sturdy base to which the timber framework was attached. Roof ventilators and a solid fuel water heater helped provide the perfect atmosphere for growing plants and germinating seeds. A stool with a sackcloth seat for grandfather, and an appropriately proportioned smaller stool for grandson were situated against the staging at the end of the greenhouse, and after a hard day in the garden two-but-one generations of Tomlin would sit and contemplate the cornucopia surrounding their vantage point. A unique fragrance created by tomatoes, grapes, chrysanthemums, cacti, cyclamen, and the subtle hint of fresh green foliage permeated the atmosphere, forming a unique and unforgettable memory; in itself a seed well sown, which would ultimately grow into the company we have today. As time passed and schooling was completed, employment for the grandson progressed into engineering design, and experience was gained in different manufacturing companies including the first float glass plant with a leading glass manufacturer. Appreciation of the properties and engineering possibilities of different materials, and those still clear childhood memories led to the birth of White Cottage Greenhouses. 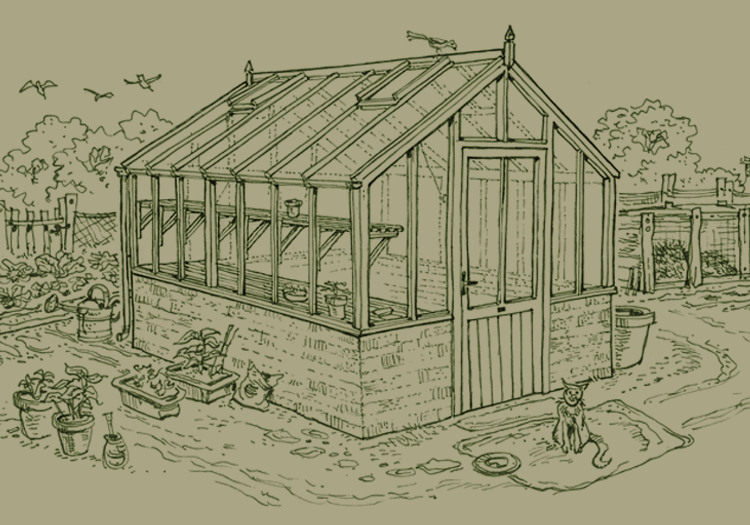 Founded in 1980, the first greenhouses were manufactured in a workshop at the family home, from which the company takes its name. Today, the great grandson has taken over leadership of the business. White Cottage is still producing traditionally styled greenhouses of the highest quality, and maintains the values upon which it was founded. "A big thank you for my wonderful greenhouse, it certainly is impressive and exceeded my expectations." © Copyright 2017 White Cottage Greenhouses. All Rights Reserved.